Chula's Mission was very excited to celebrate Camp Elvira at the San Diego Zoo this year. The mentors and mentees decided to partake in the adventure of the "Roar and Snore". 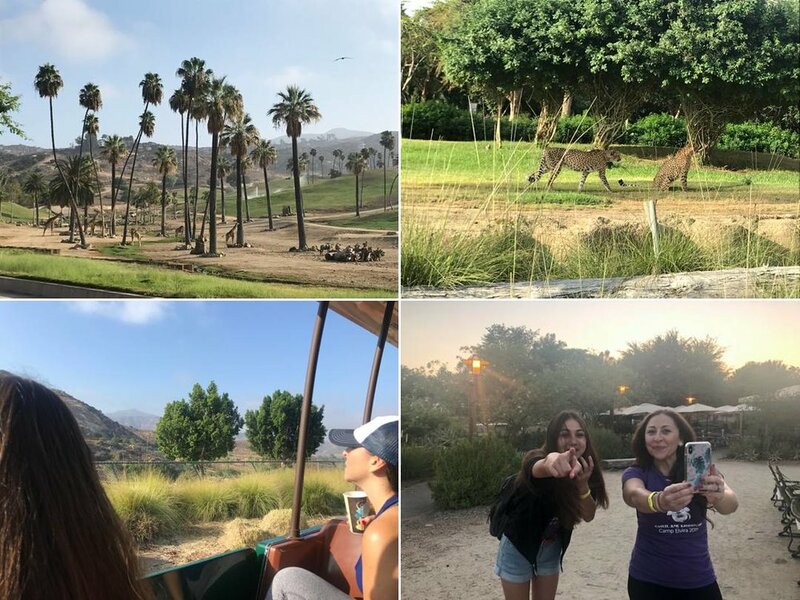 Not only did the girls have an opportunity spend the night in a tent furnished with all the amenities overlooking the park, they were also able to experience an after-hours tour of the zoo, learning about the different species of wildlife that inhabit the zoo. 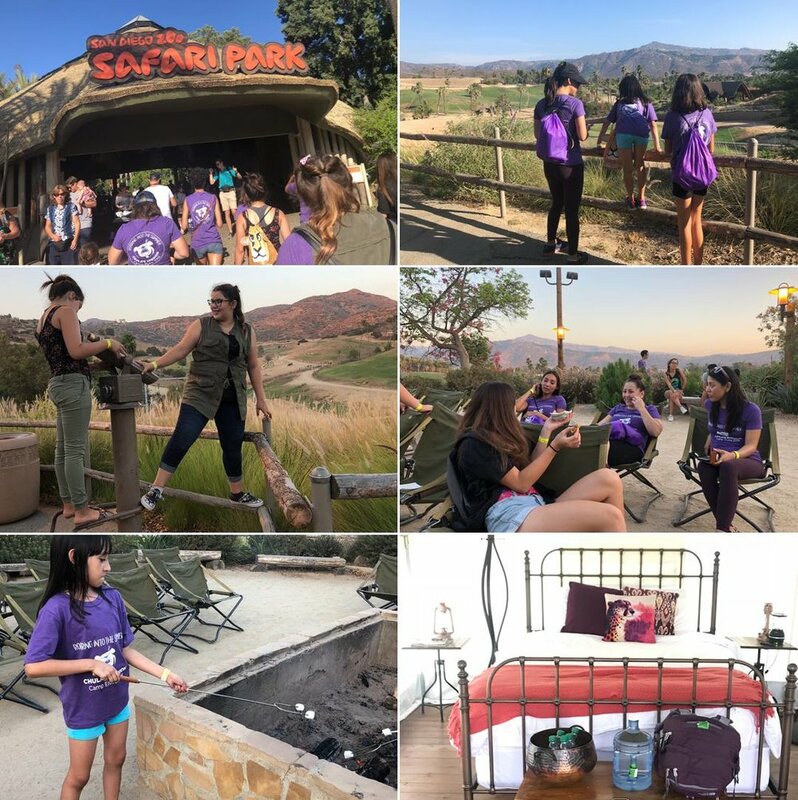 To kick off camp, the girls enjoyed hamburgers and hot dogs by a campfire; finishing with s'mores for dessert before embarking on their after-hours tour of the park. First stop was the "Forest of Sumatra", where the girls were able to see tigers catching some zzzz's. Next stop was "Elephant Valley". This stop was extra special because a baby elephant named Zulie had just been born days before the girls arrived for camp. No coincidence that Zulie was also born on World Elephant Day. How special is that? They were able to get a glimpse of mom and baby, which warmed their hearts. To end the after-hours tour, the girls watched a presentation about armadillos. Not only were the girls able to ask questions, they were also allowed to pet the armadillos! After returning to the campsite, the girls enjoyed popcorn, s'mores, hot chocolate, and were able to have some bonding time while reflecting on all the amazing things they were able to see. Needless to say, the lions were roaring all night! No wonder they call it the "Roar and Snore". After breakfast the next day, the groups made their way to the African tram before they left for the day. On the way though, they stopped at the lion exhibit. Unfortunately, that's when the lions decided to sleep and not roar. The African tram was about was about a 30-minute ride that took the girls by some different field exhibits, including cheetahs, giraffes, flamingos, just to name a few. The "Roar and Snore" adventure was such an amazing bonding experience! What a great way to connect with the animals by having a "behind the scenes" look. The girls were so grateful for the opportunity. They enjoyed every moment!